Modelling has been a wee bit slow of late due to being off work on leave. The fact I’m not on shifts means I have more energy and coupled with the extraordinarily good July weather in these parts this results on my getting a lot of necessary jobs in and outside the house done that I’d normally feel a bit worn out and apathetic to do! Nevertheless, last week I did get this model to more-or-less completion. Another of the part-builds I acquired from my friend. 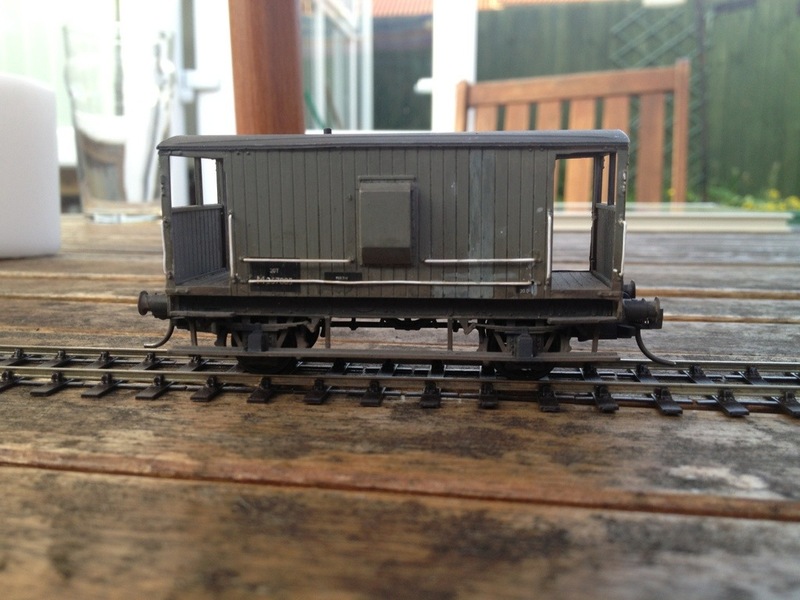 I completed this Parkside ex-LMS, Fowler era brake, finished in unfitted early-mid 1950s er grey she will be a temporary stand by until the Stanier is ready. The worst part of the whole job was making the handrails. I absolutely hate this job as however hard you try with measuring and bending the wire, there is invariably a discrepancy that means the rail is either slightly long or short sufficient to provide just enough visually jarring distortion in the rails and generating a generous amount of industrial language from this builder. Nevertheless, I managed to survive the handrail phase in this one although some weird primer-related clumsiness on my part led to a hint of re-planking as viewed here. It’s not too bad though, I hope you’ll agree! 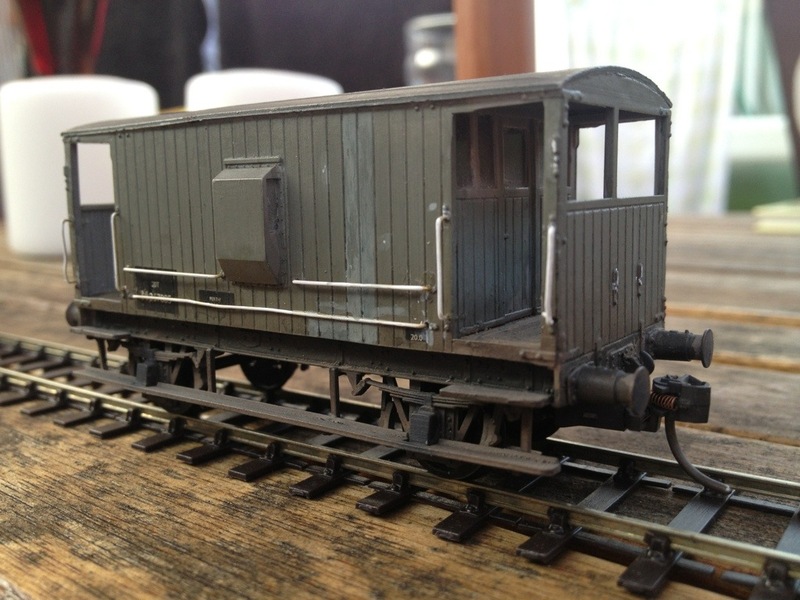 As standard with my builds this one has LMS Models buffers and EM wheels. Share the handrail pain despite the advent of etched bending jigs. 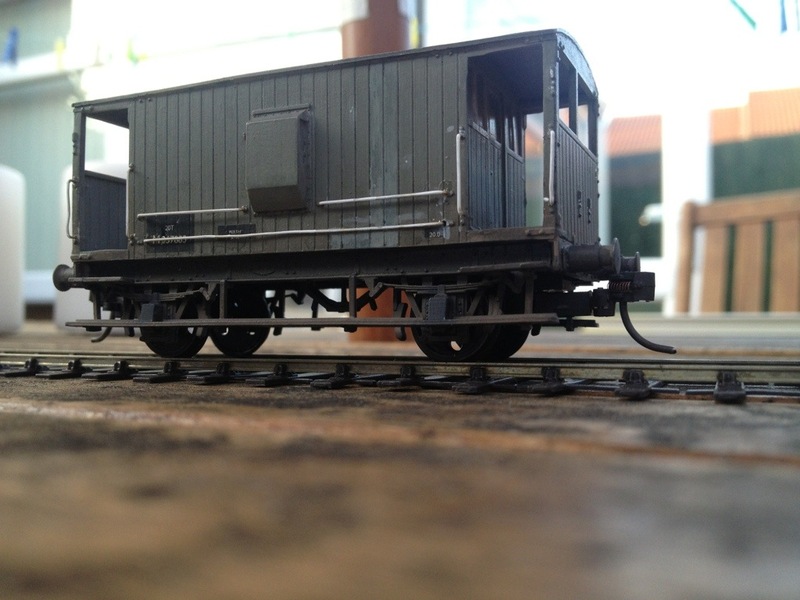 My Stanier – brakes can keep the moulded ones!